For more than 20 years, Lindstrom was a trader for the now bankrupt Rock Capital Markets, according to filings from prosecutors. Having earned over $6 million dollars, he was able to develop a close relationship with the owner of the company who stated he considered Lindstrom part of his extended family. In 2014 and 2015, Lindstrom falsely inflated his trading profits, allowing him to take home an increased salary. This decision destroyed the business and forced 20 of his colleagues out of work. His concealed losses were discovered in January of 2015. Shortly afterward, he was indicted on eight counts of wire and commodities fraud. The Most Common Frauds and Scams in the U.S. Individuals or companies who commit telephone scams attempt to trick people out of money or gain access to their personal information. Scams are perpetrated via text messages, robocalls or an actual person. False promises are made such as great opportunities to invest or receive products for free. Some perpetrators make the false claim the victim is eligible for money from a grant or lottery. Phishing, which is sending the victim an email message that asks to verify a debit card number or bank account. 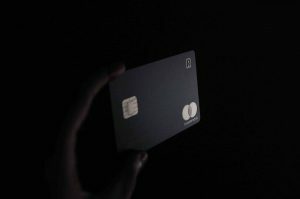 Setting up an automatic debit from the victim’s bank account as part of a fraudulent free trial or the fictitious collection of lottery winnings. Pretending to be someone who works for the IRS. The imposter will contact the victim by text message, email, postal service mail, or by phone. They falsely tell the victim they owe back taxes or need to verify personal information. Sending their victim a counterfeit check. Then they tell the victim to deposit the check and send a portion of it back. Because the check was fake, the victim will have to pay the bank the full amount. Additionally, the victim will lose any money wired out of the account. This is known as an overpayment scam. Sending the victim a counterfeit check out of the blue. If the victim cashes it, he or she may be signing up for a loan he or she did not ask for or may be authorizing the purchase of goods. This is called unsolicited check fraud. The law offices of David L. Freidberg have extensive experience resolving white collar cases ranging from embezzlement to fraud and everything in between. We understand the complicated legal landscape that needs to be navigated in order to sort out these matters and how to build a strong case based on the facts. Call (312) 560-7100 or schedule a free consultation. We will work diligently to ensure you are in the best possible position to attain a favorable outcome for you case.